I've been anxiously waiting for this pizzeria to open since I spotted a "DaVinci Pizza Coming Soon" sign in the window and snapped a photo on my instagram account way back in September 2016. 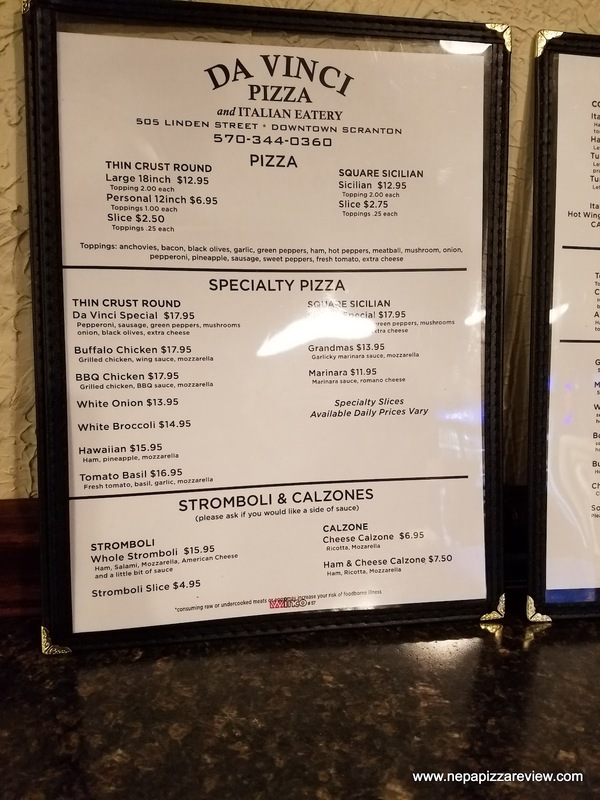 After reading about DaVinci's opening in a wonderful article in the Scranton Times by Patrice Wilding, I learned that the restaurant was finally open. 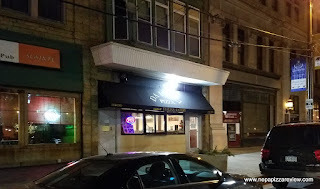 After eating numerous slices at Sal's over the years, I was interested to see what the place looked like after the many renovations discussed in the article. I won't duplicate all of the details that are detailed out in the Scranton Times article, but I do encourage you to check it out because it is well written and informative. 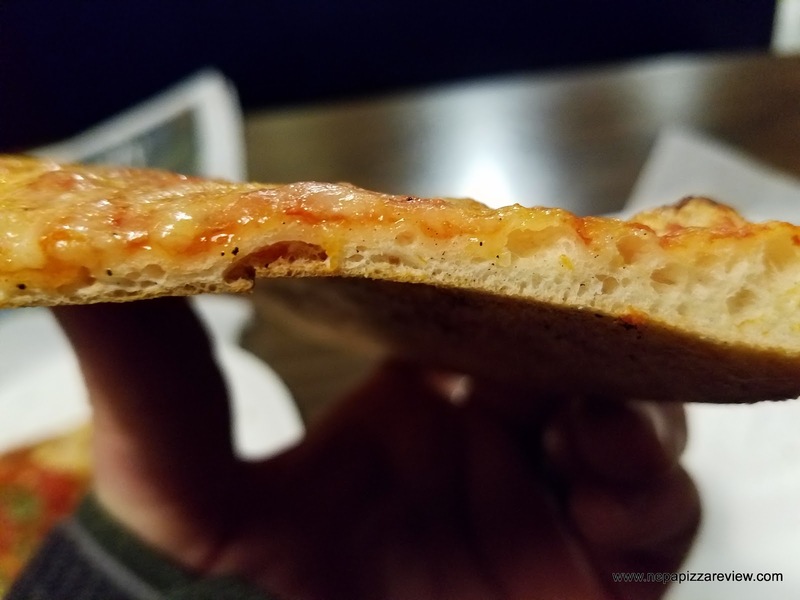 I will say that my family and friends used to eat at DaVinci's in Lake Winola and always enjoyed their pizza back in the day so I was interested to see how the modern day pizza would compare to when I reviewed it back in 2012. Sal's, and now DaVinci's has traditionally very much been a lunch spot for some time due to its downtown location and speedy service, but since I don't work in downtown Scranton, I had to go in the evening, just after dinner hours. When I walked in, I was greeted by a friendly group of people who I presume were the owners. I felt like I was among friends after just a few seconds of smiles and multiple greetings. 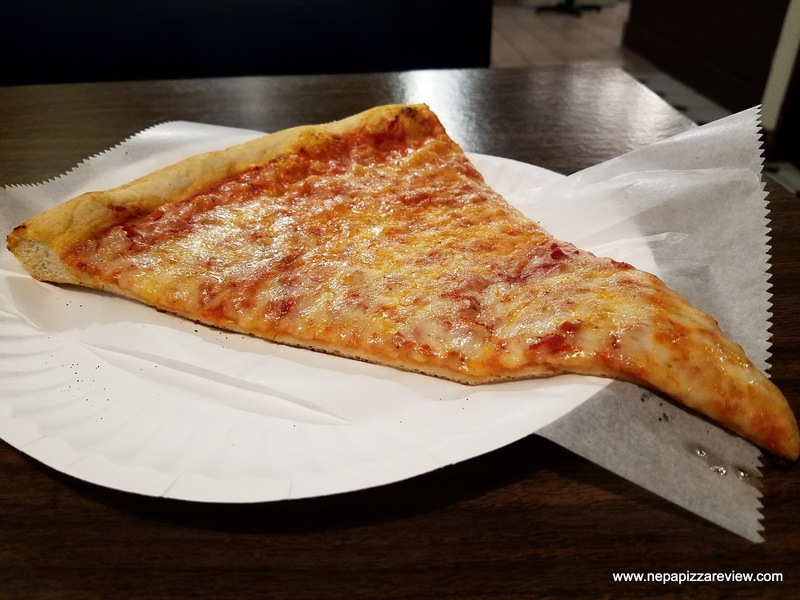 I selected a New York Style Cheese slice and a grandma slice to try out, and the gentleman behind the counter heated them up while I explored the rest of the place which definitely had a fresh new look that was much more inviting and would make you consider having a casual dinner in the rear dining room. It's really a tale of 2 sections, the front section gets you in and out for lunch quickly and the rear section has booths that would encourage you to stay and dine for a bit. I sat in the back section to get comfortable and do my pizza review thing. Not surprisingly, the waitress who brought my slices to me was very friendly as well. I noticed that the slices, which had been sitting for a little while, but were by no means old, reheated very nicely and looked good. I tried the NY style first, because that's what I reviewed at DaVinci's at the Lake a few years back. 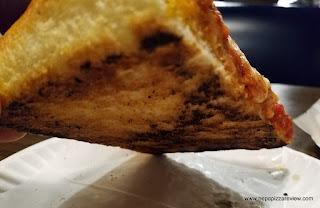 I picked it up and took my first bite to find that there was a wonderful combination of flavors - a little bit sweet, a bit of zest, and quite savory. This flavor all came from the sauce, which I was a fan of, but my favorite part of the pizza was definitely the crust, which was light, crispy yet foldable, and flavorful. It was also cooked evenly and all the way through with a wonderful bubble pattern that created a nice variation and complexity to a simple slice of pizza. I was a fan, and it certainly measured up to the pizza a remember in Lake Winola, but I think I enjoyed this even more perhaps because I was starving! I should also mention that the size of the slice was also quite generous for the $2.50 price tag, so it was worth the cost. 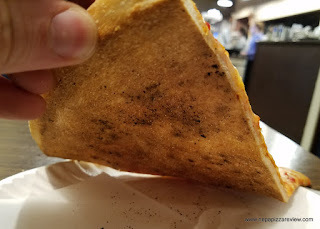 I also tried the grandma slice, which was constructed on a traditional Sicilian crust which was a little bit thicker than some other grandma pizzas I've had over the years. I definitely prefer a thinner crust so the dough doesn't mute the flavors of the hearty sauce and herbs on top, but the flavors really did shine through here. 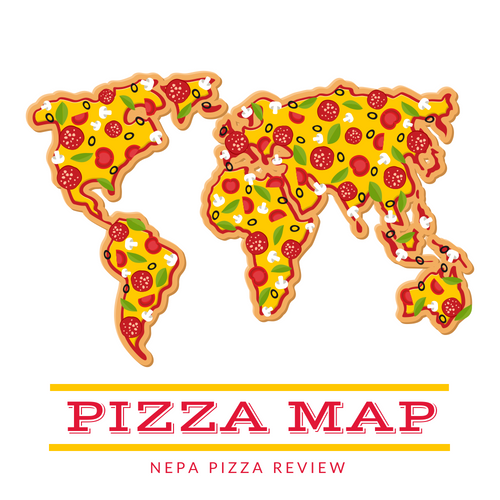 I have to say I did enjoy it, although not quite as much as the NY slice. 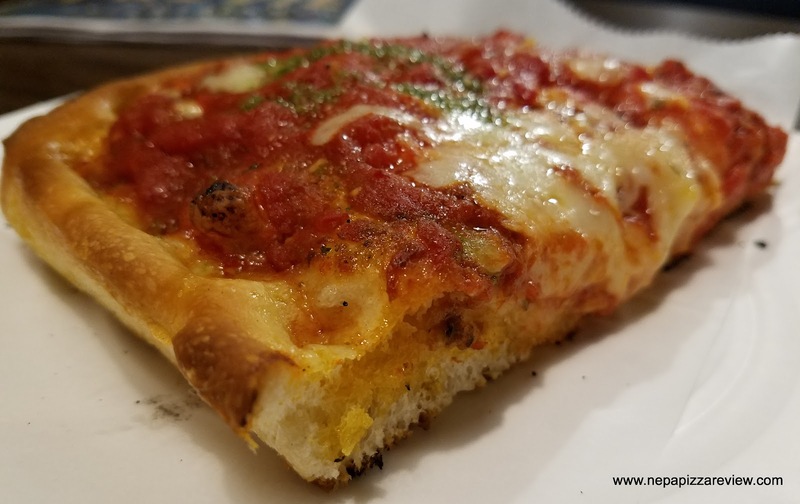 The bottom line on this pizza is that it is your classic, New York Style Pizza with quite a bit of subtle flavor that is sure to please most pizza lovers. It has enough high-end qualities to placate pizza snobs, but isn't bursting with flavors to turn off children and people who don't like a lot of seasoning. This certainly is a great lunch spot and I can see it growing as a dinner spot in the future, especially if all customers continue to receive the friendly treatment and excellent service that I did. I wish DaVinci a lot of luck in their new venture and I do recommend the NEPA Nation go give this a try!